Aduddell, M.M. (2003). Effects of equine assisted psychotherapy on adolescent attitudes and behaviors. Unpublished manuscript. Colorado Christian University. Bray, B. (2002). Treating adolescents using equine assisted psychotherapy: Effects on self concept, anxiety, and depression. Unpublished Masters Thesis, Whitman College. Emory, D.K. (1992). Effects of therapeutic horsemanship on the self concept and behavior of asocial adolescents. Unpublished dissertation, University of Maine. Nurenberg, J.R. etal (2014). Animal-Assisted Therapy With Chronic Psychiatric Inpatients: Equine-Assisted Psychotherapy and Aggressive Behavior. Psychiatric Services in Advance, Oct. 1, 2014. Nurenberg, J.R., Schleifer, S., Madara, B., Yellin, M., Desai, P., Shaffer, T., & Allen, A. (2011). Equine assisted psychotherapy for patients with severe chronic psychiatric disorders. Presentation at the annual meeting of the American Psychiatric Association, Honolulu, Hawaii. Trotter, K., Chandler, C., Goodwin-Bond, D., & Casey, J. (2008). A comparative study of the efficacy of group equine assisted counseling with at-risk children and adolescents. Journal of Creativity in Mental Health, Vol. 3(3), 254-284. Chardonnens, E. (2009). The use of animals as co-therapists on a farm: The child-horse bond in Person-Centered Equine-Assisted Psychotherapy. Person-Centered and Experiential Psychotherapies, 8(4), 319-332. Frewin, K. & Gardiner, B. (2005). New age or old sage? A review of equine assisted psychotherapy. The Australian Journal of Counselling Psychology, 6, pp13-17. Kaiser, L., Spence, L.J., Lavergne, A.G., & Bosch, K.L. (2004). Can a week of therapeutic riding make a difference? A pilot study. Anthrozoos, 17, 63-72. Karol, J. (2007). Applying a traditional individual psychotherapy model to equine-facilitated psychotherapy (EFP): Theory and Method. Clinical Child Psychology and Psychiatry, 12(1), 77-90. Klontz, B.T., Bivens, A., Leinart, D. & Klontz, T. (2007). The effectiveness of equine-assisted experiential therapy: Results of an open clinical trial. Society and Animals, 15 (2007), 257-267. Pendry, P., Smith, A. N., & Roester, S. M. (2014). Randomized trial examines effects of equine facilitated learning on adolescents’ basal cortisol levels. Human-Animal Interaction Bulletin, 2 (1), 80-95. Rothe, E.Q., Vega, J., Torres, R.M., Soler, S.M.C. & Pazos, R.M.M. (2005). 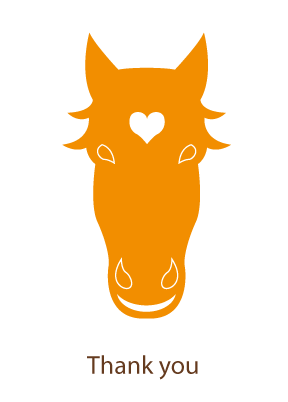 From kids and horses: Equine facilitated psychotherapy for children. International Journal of Clinical and Health Psychology, 5(2), 373-383. Scheidhacker, M., Friedrich, D., & Bender, W. (2002). About the treatment of anxiety disorders by psychotherapeutic riding: Long term observations and results of an experimental clinical study. Krankenhauspsychiatrie, 13, 145-152. Zugich, M., Klontz, T., & Leinart, D. (2002). The miracle of equine therapy. Counselor Magazine, 3(6), 22-27. Rothe, E.Q., B.J. Vega, R.M. Torres, S.M.C. Soler, and R.M.M. Pazos. «From Kids and Horses: Equine Facilitated Psychotherapy for Children.»International Journal of Clinical and Health Psychology 5, no. 2 (2005): 373-83. Roberts, F., J. Bradberry, and C. Williams. «Equine-Facilitated Psychotherapy Benefits Students and Children.» Holistic Nursing Practice18, no. 1 (2004): 32-35. Karol, J. «Applying a Traditional Individual Psychotherapy Model to Equine-Facilitated Psychotherapy (EFP): Theory and Method.» Clinical Child Psychology and Psychiatry 12, no. 1 (2007): 77-90. Hayden, A.J. «An Exploration of the Experiences of Adolescents Who Participated in Equine Facilitated Psychotherapy: A Resiliency Perspective.» PhD Thesis, Department of Psychology, Alliant International University, 2005. Frame, D.L. «Practices of Therapists Using Equine Facilitated/Assisted Psychotherapy in the Treatment of Adolescents Diagnosed with Depression: A Qualitative Study.» PhD Thesis, School of Social Work, New York University, 2006. Bowers, M.J., and P.M. MacDonald. «The Effectiveness of Equine-Facilitated Psychotherapy with at-Risk Adolescents.» Journal of Psychology and Behavioral Sciences 15 (2001): 62-76. Dell C. A. et al. (2011) A Healing Space: The Experiences of First Nations and Inuit Youth with Equine Assisted Learning (EAL). Child and Care Youth Forum, pp. 319-336. Bachi K., Terkel J., Teichman M. (2012) Equine-facilitated psychotherapy for at risk adolescents: The influence on self-image, self- control and trust. Clinical Child Psychology & Psychiatry April 2012 vol. 17 no. 2 298-312. Shultz, B. (2005). The Effects of Equine-Assisted Psychotherapy on the Phychosocial Functioning of At-risk Adoloscents Ages 12-18. Unpublished Masters Thesis. Denver Seminary. Denver, CO.
Ewing, C.A., MacDonald P.M., Taylor M., Bowers M. (2007) Equine-facilitated learning for youths with several emotional disorders: A quantative and qualitative study. Child Youth Care Forum, 36, 59-72. Weber Y., Westmoquette K., (2010) Equine-Assisted Therapy as a Treatment Method for Children with Autism Sprectum Disorders – a qualitative study. Department of Neurobiology, Karolinska Institutet. Ham T. M. (2013) Equine Assisted Couples Therapy: An Exploratory Study. Masters’ theses Virginia Polytechnic Institute and State University. Durham E. (2011) The Effects of Equine Assisted Therapy on Post War Veterans. Pacific University, Oregon. Emerging Practice CATS. Paper 8. Thomas L., Haefner P., Lancia J., Kozel J.-Military Task Force Chair (2009) EAGALA Model: Equine Assisted Psychotherapy for Warriors. Defence Center of Excellence. Durham E. (2011) The Effects of Equine Assisted Therapy on Post War Veterans. Emerging Practice CATS. Paper 8. Kruger, K. A., Serpell, J. A. Animal-assisted Interventions in Mental Health: Definitions and Theoretical Foundations. Department of Clinical Studies, School of Veterinary Medicine, University if Pennsylvania, Philadelphia. Esbjorn, R.J. «When Horses Heal: A Qualitative Inquiry into Equine Facilitated Psychotherapy.» PhD Thesis, Institute of Transpersonal Psychology, 2006. Christian, J.E. «All Creatures Great and Small: Utilizing Equine-Assisted Therapy to Treat Eating Disorders.» Journal of Psychology & Christianity24, no. 1 (2005): 65-67. Journal of Psychosomatic Nursing Mental Health Services2010 Oct; 48(10):30-4. Equine-assisted psychotherapy in clinical practice. Tartakovsky M. (2008) Equine-Assisted Psychotherapy: Healing Therapy or Just Hype? Psych Central. Klontz B.T., Bivens A., Leinart D., Klontz T. (2007) The effectiveness of equine-assisted experiential therapy: Results of an open clinical tiral. Society and Animals, 15, 257-267. Barker S.B. (1999) Therapeutic Aspects of the Human- Companion Animal Interaction. Psychiatric Times, 16. McCormick A., McCormick M. (1997) Horse Sense and the human Heart: What Horses Can Teach Us About Trust, Bonding, Creativity and Spirituality. Deerfield Beach, Florida: Health Communications, Inc.
McVeigh T. Not just horsing around… psychologists put their faith in equine therapies. Health professional say horses can reflect our emotions to bring relief from addiction and stress. The Observer Saturday 25 February 2012 16.08 GMT. Froug R., Baughman D., Bennett T., Renee-Smith R., Merrill S., Farrington T. The Effects of Equine Assisted Psychotherapy on Anxiety and Depression in the Chronically Mentally Ill. NADD Bulletin Vol X, No 1, Art 3. Hutchinson J. (2009) Equine Assisted Psychotherapy: Horses are still helping us today. Unpublished manuscript. Pioneer Pacific College. Angier, N. Four-legged therapists. Discover. 1983. (Aug) 87-89. Frewin, K., and B. Gardiner. «New Age or Old Sage? A Review of Equine Assisted Psychotherapy.» The Australian Journal of Counselling Psychology 6 (2005): 13-17. Graham, J.R. «An Evaluation of Equine-Assisted Wellness in Those Suffering from Catastrophic Loss and Emotional Fluctuations.» PhD Thesis, Department of Health Promotion and Education, University of Utah, 2007. Haylock, P.J., and C.A. Cantril. «Healing with Horses: Fostering Recovery from Cancer with Horses as Therapists.» EXPLORE: The Journal of Science and Healing 2, no. 3 (2006): 264-68. Held, C.A. «Horse Girl: An Archetypal Study of Women, Horses, and Trauma Healing.» PhD Thesis, Department of Psychology, Pacifica Graduate Institute, 2006. Mandrell, P.M. Introduction to Equine-Assisted Psychotherapy: A Comprehensive Overview. Xulon Press, 2006. Root, A. «Equine-Assisted Therapy: A Healing Arena for Myth and Method.» PhD Thesis, Mythological Studies, Pacifica Graduate Institute, 2000. Taylor, S.M. «Equine Facilitated Psychotherapy: An Emerging Field.» Masters Thesis, Clinical Psychology, Saint Michael’s College, 2001. Karol, J. (2007) Applying a Traditional Individual Psychotherapy Model to Equine-Facilitated psychotherapy (EFP): Theory and Method. Clinical Child Psychology and Psychiatry, 12(1), 77-90. Nurenberg J.R., et al (2011). Equine Assisted Psychotherapy for Patients with Severe Psychiatric Disorders. Presentation at the Annual Meeting of the American Psychiatric Association, Honolulu, Hawaii. European Psychiatry, Volume 26, Issue null, Page 1325. Myers, Gene. 1998. Children and Animals: Social development and our connections to other species. Boulder, CO: Westview Press. Pearson, E. T. 1997. Effects of equine facilitated therapy on the antisocial behavior of adolescent males. Rehabilitation with the Help of a Horse: A collection of Studies, 177-206, ed. B. T. Engel. Durango, Colorado: Barbara Engle Therapy Services. Media coverage of research correlating horses to mental health and personal development benefits.